While shoppers make their lists and check them twice, we’ve been busy researching products that meet our high standards for this year’s gift giving season. Product innovations make it possible for many seniors to stay in their homes longer. For the hearing impaired, amplified telephones and visual doorbells make great gifts. The visually challenged may appreciate a big-button telephone, large-face clock or a large-button universal remote. 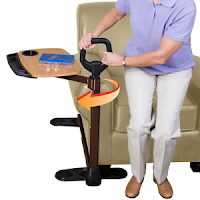 Mobility tools make aging in place safer and easier. Stander makes mobility aids for every room in the home, including easy-install security poles and grab bars, a 2-in-1 activity tray and mobility handle called Assist-A-Tray, and bed rails that double as security handles. Mom's Meals uses fresh ingredients. A convenient way to eat healthy, Mom’s Meals provides freshly prepared meals to a loved one’s doorstep. Many of America’s seniors are threatened by hunger because of financial limitations, limited mobility, physical factors that make eating difficult or food unappealing, depression and other factors. 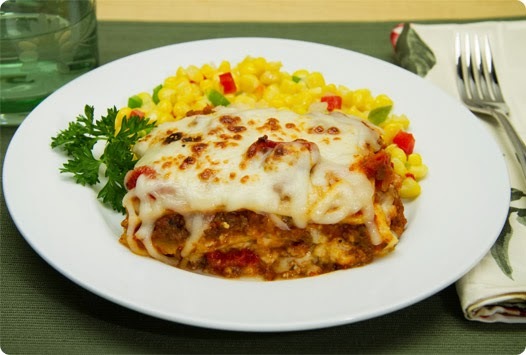 Mom’s Meals offers special dietary choices, including meals low in sodium, fat or carbohydrates. 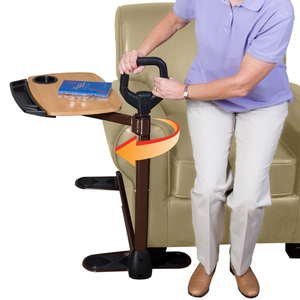 The FootMate™ system offers the benefits of a soothing massage while helping seniors take better care of their feet. 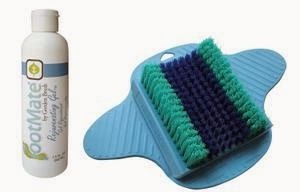 It secures to a shower floor and features bristles that clean, massage and stimulate circulation. It’s ideal for those with diabetes, arthritis, back pain — even for caregivers or anyone on their feet all day. For a limited time, we’re including a free 8 oz. bottle of rejuvenating gel with every purchase of a FootMate™ system. When winter causes dry skin, products that cleanse, moisturize, and protect can be the difference between healthy skin and irritation and infection. Consumers now can buy medical-grade products without the side effects that can go along with prescription drugs. The TriDerma line is made to heal dry skin, rashes, eczema, psoriasis, ulcers and facial redness using natural ingredients that are more effective than many over-the-counter, water-based formulas but will not interact with medications. Seniors managing incontinence are likely to love the gift of normalcy and dignity. Premium quality absorbent products like Depend Silhouette for Women or Depend Real Fit for Men are a step up from regular adult diapers. They’re designed to look, fit and feel like regular underwear, but their clothlike fabric is discreet under clothing and comfortable during activities. Cold winter temperatures and icy conditions are dangerous for the elderly. Your loved one may appreciate the gift of services, such as a snow removal or lawn care, in-home barbering or hair dressing, or dog walking or grooming. For seniors who need non-medical, in-home care, The CareGiver Partnership recommends Visiting Angels, a national, private duty network of home care agencies. For one-on-one gift assistance, doorstep delivery and free shipping on orders of $50 or more, call our team of product specialists at 1-800-985-1353. Watch this video on how to save up to $60 on your next order.